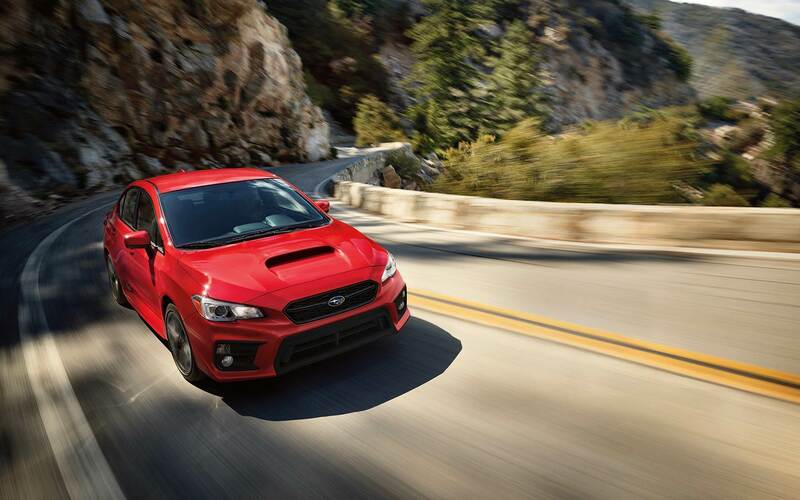 With a refreshed, revamped design for 2018, the Subaru Crosstrek delivers tried-and-true Subaru dependability and modern capability. 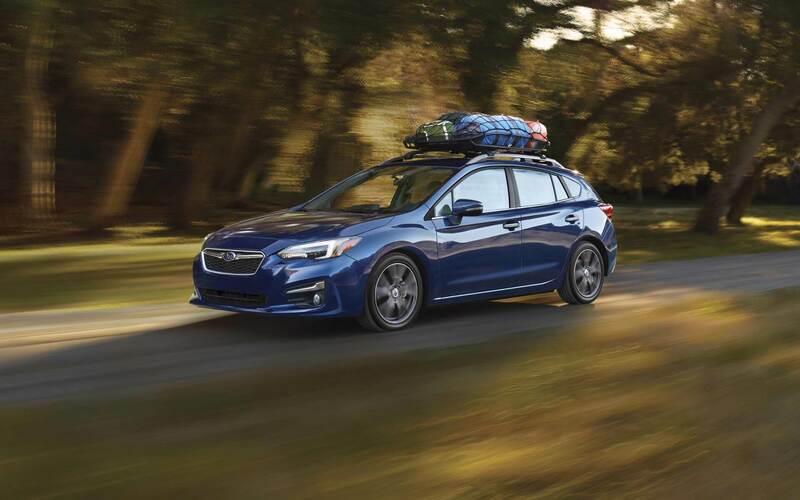 A sleek exterior, comfortable and spacious interior, and a huge array of tech features for performance, safety and entertainment all contribute to the Crosstrek's overall appeal, while Subaru's celebrated standard all-wheel drive allows drivers to hit the road with confidence, no matter what the conditions. What kind of power and capability can I expect from my 2018 Subaru Crosstrek? Every 2018 Subaru Crosstrek is powered by a 2.0-liter 4-cylinder BOXER engine with direct fuel injection. Recent enhancements to the engine boost horsepower to 152 (up from previous years' 148). The engine also puts out 145 lb-ft of torque. 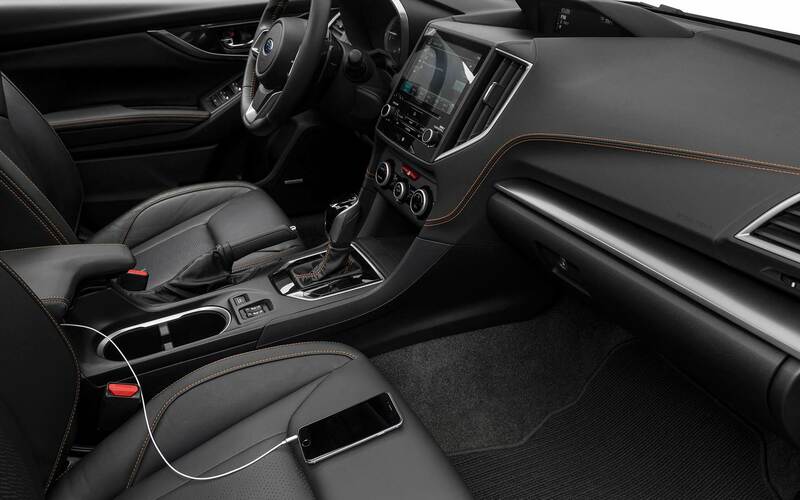 Crosstrek buyers have an option between a 6-speed manual transmission (standard on the 2.0i and 2.0i Premium) or a Lineartronic Continuously Variable Transmission (standard on the 2.0i Limited). The Lineartronic CVT features a 7-speed manual mode with steering wheel paddle shifters, and a driver-selectable X-Mode, which improves wheel control on hills and slick driving surfaces. 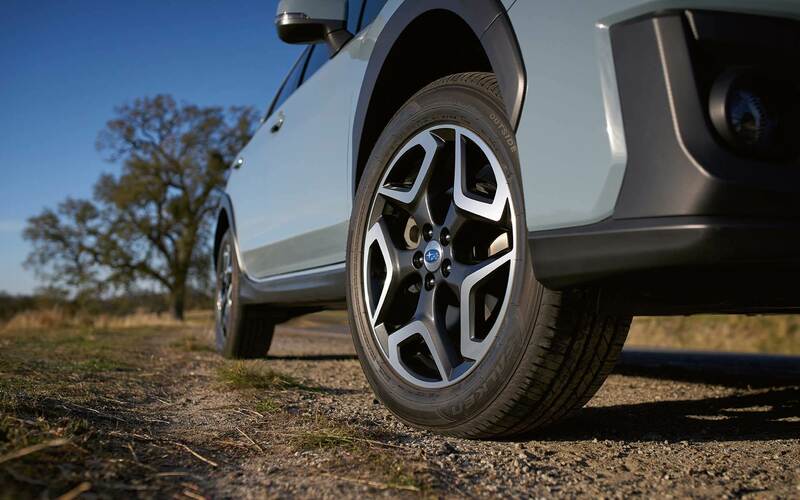 The CVT also maximizes the Crosstrek's fuel economy, achieving up to 33 miles per gallon on the highway. Standard symmetrical all-wheel drive gives the Crosstrek the dependable capability that drivers have long cherished in Subarus. Snowy parking lots, off-road trails and rugged back roads are no problem for the Crosstrek, which can confidently navigate conditions that might leave other vehicles out of luck. Active Torque Vectoring, another standard feature on all 2018 Crosstreks, automatically senses steering and braking inputs to assist with driving and offer superior handling. 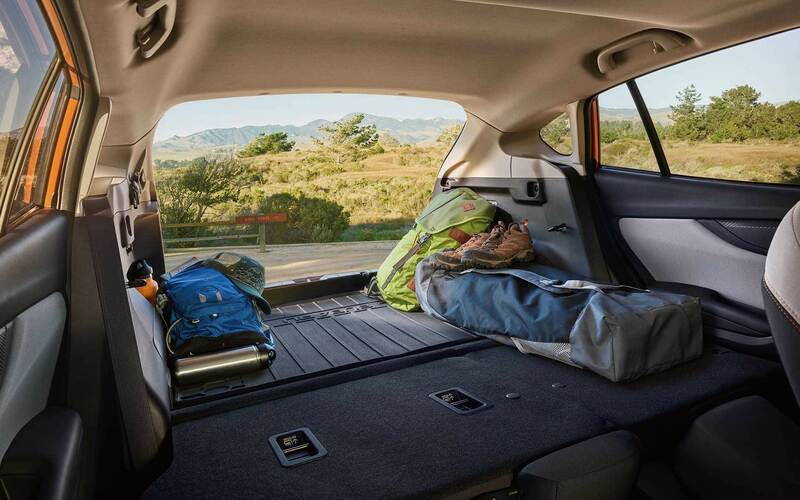 The Crosstrek's impressive 8.7 inches of ground clearance increases the vehicle's ability to handle tough conditions. 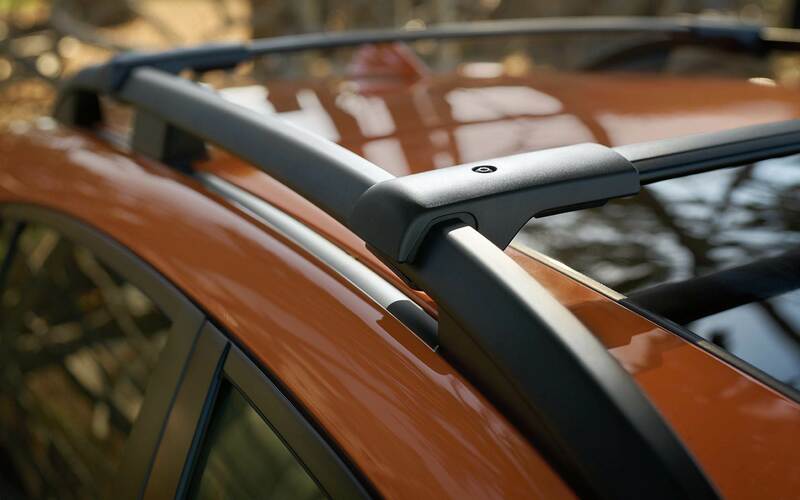 What trim levels are available for the Subaru Crosstrek? 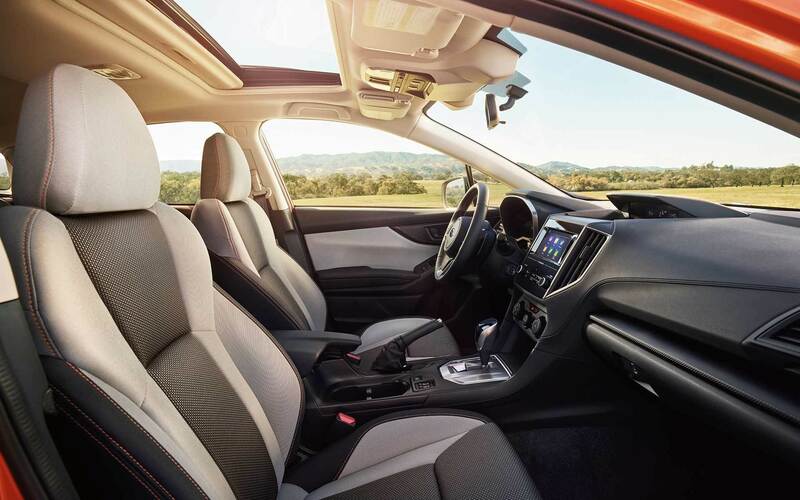 The 2018 Crosstrek is offered in three different trim levels: the 2.0i, 2.0i Premium and the 2.0i Limited. 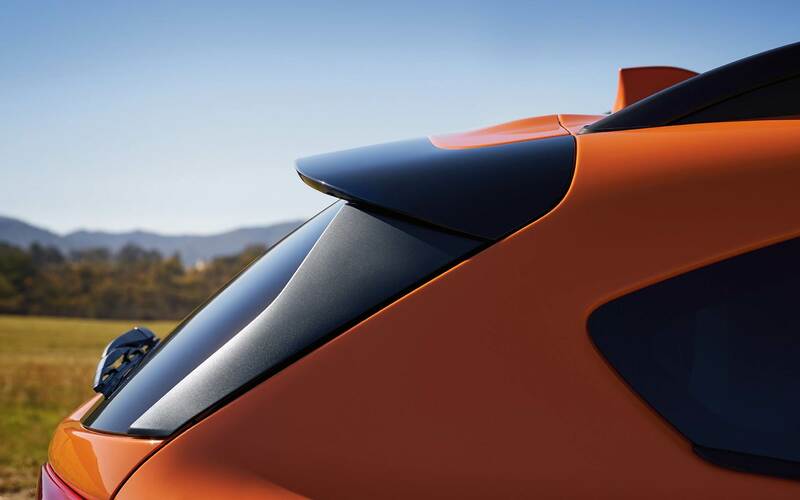 All named for the 2.0-liter BOXER engine that comes standard with every vehicle, the increasing trims feature different levels of interior material quality and tech features, and have some different standard powertrain components. The base 2.0i has a large number of appealing features, and makes amenities such as a 6.5-inch touchscreen interface, tilt-and-telescoping steering wheel, security system with engine immobilizer, integrated roof rails and more standard across all trims. The 2.0i also comes standard with the 6-speed manual transmission, but can opt for the CVT. 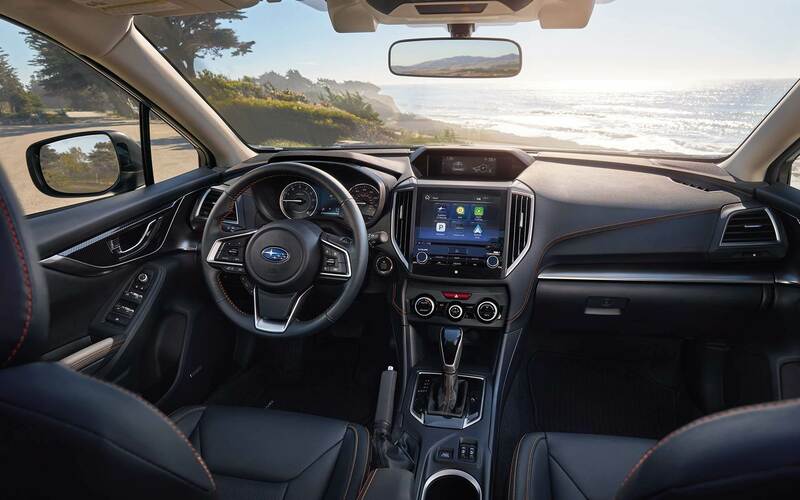 Moving up to the Premium, interior materials are upgraded with a leather wrapped steering wheel and shifter, and the vehicle is outfitted with Subaru's All-Weather Package, which includes heated front seats, a windshield wiper de-icer, and heated mirrors. 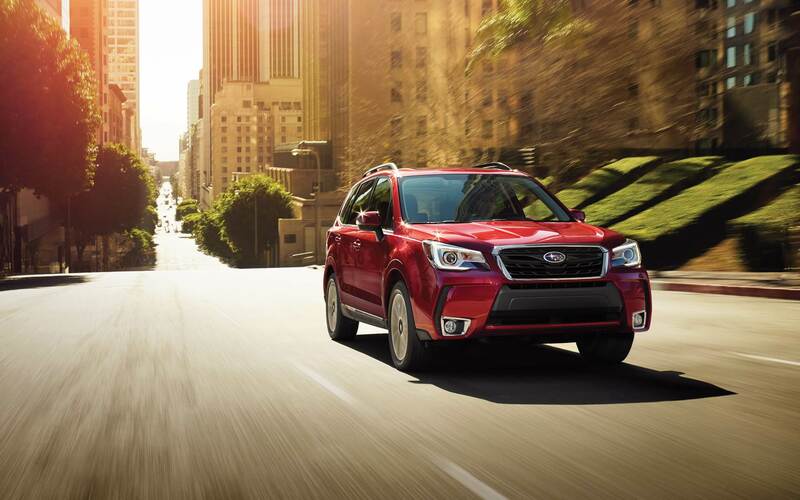 The Premium also comes standard with Subaru STARLINK safety and security features. Luxury features such as leather seats, keyless entry, push-button start, power driver seat and a premium audio system come standard with the Limited. The top trim also comes exclusively with the fuel economy-maximizing CVT. A larger, 8-inch touchscreen allows for STARLINK access and the vehicle's exterior is upgraded with 18-inch alloy wheels and LED Steering Responsive headlights. 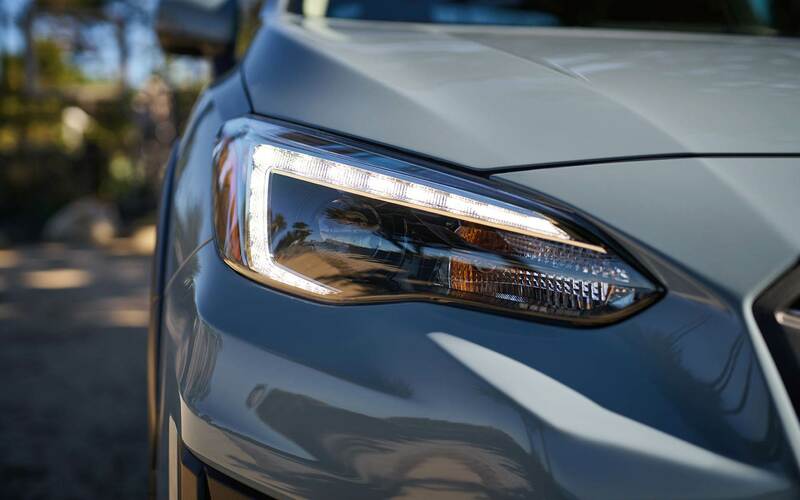 What is Subaru EyeSight Safety Technology? Subaru emphasizes safety and security with available EyeSight Driver Assist Technology, as well as standard safety features. Available on the Premium and Limited Crosstrek trims, EyeSight Technology assists drivers with an array of features, including Adaptive Cruise Control which will adjust cruise control speeds to maintain the correct distance between your vehicle and those around you, and Lane Keep Assist and Sway Warning, which monitors road position and alerts you if you begin to stray outside of your lane. Pre-Collision Braking sends alerts in anticipation of frontal impacts and will apply emergency brakes automatically if need be, while Pre-Collision Throttle Management helps mitigate frontal collisions by reducing engine power if a collision threat is detected. In 2017, Subarus equipped with EyeSight technology earned Top Safety Pick rating from IHHS. Comfort, safety, utility, efficiency, and dependability are just a few of the words that come to mind when drivers think about Subaru SUVs. 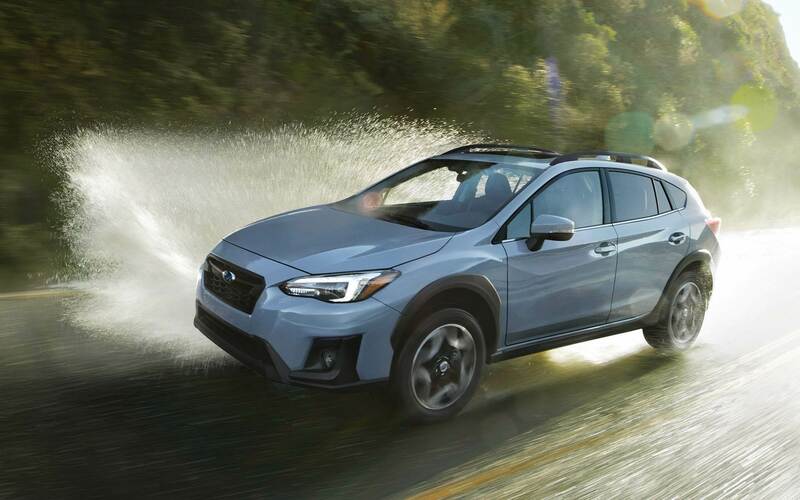 The 2018 Crosstrek has a fresh look and some engineering enhancements to make the compact crossover more powerful and efficient than ever before, and continues to deliver the kind of all-condition driving capability and general go-anywhere attitude that drivers have celebrated in Subaru vehicles for generations.